Where do french companies stand on digital transformation? home > articles > Where do french companies stand on digital transformation? How do mid-sized French companies stack up against their CAC40 counterparts and the rest of Europe? 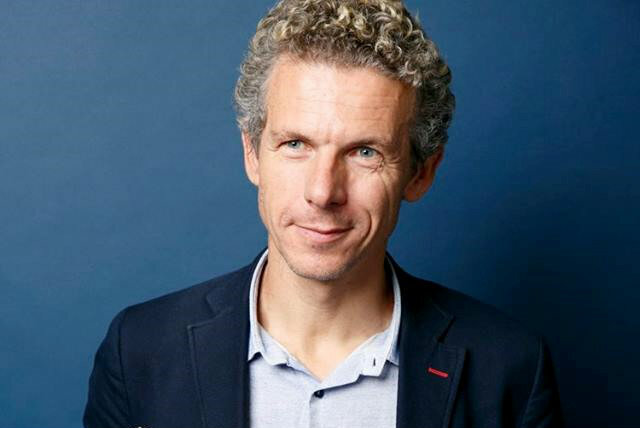 Here’s what Gilles Babinet, France’s Digital Champion on the European Commission, had to say. “Comparing mid-sized and CAC40 companies is complex,” Gilles explained. 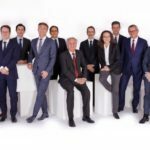 CAC40 companies know that investors and market analysts expect something from them, and they are approaching digital transformation with relatively similar roadmaps. Among their major initiatives are start-up incubators and optimising the CRM and cyber security solutions they have had “for a long time”. Because of their diversity, mid-sized companies are approaching digital transformation in a less uniform manner. While the 2016 barometer estimated that mid-sized companies had on average a two-year lag compared to CAC40 companies, some have in 2017 skilfully used digital technology as a way to get better access to consumers. Feeling less secure than large companies, they have embraced the digital arena earlier and have turned it into a new vein of growth. Gilles qualifies their approach as more “pragmatic” than that of their CAC40 counterparts. In 2017, mid-sized companies concentrated their investments on CRM and cyber security solutions. In 2017, although mid-sized French companies boosted their digital awareness and large companies made massive digital investments, “it was not the year in which France closed the digital gap at the European level.” Out of the 28 EU countries, France came in 16th place in the 2017 Digital Economy and Society Index (DESI). French companies moved up two spots from 2016 but their level of digital technology integration was still below the European average. “France was 24th in RFID utilisation, 20th in social media, 16th in the cloud, 15th in online selling and also 15th in cross-border online selling”, Gilles detailed. The European leaders were Denmark, number one in all categories, followed by Ireland, Sweden and Belgium. Despite its lag at the European level, France has a significant advantage in the innovation race. It has a vigorous start-up ecosystem, which owes much to the “significant” incubators created by large companies. This ecosystem is pulling small, mid-sized and CAC40 companies up with it. Read the second edition of the Barometer on the digital maturity of mid-sized companies. Investment fund supporting middle-market companies in four focus sectors: TMT, Consumer, Healthcare and Services. Pierre Reboul, the founder of Electronic Business Group (EBG), explores the new challenges and opportunities that digital technologies create for SMEs, from the digital transformation of companies to market globalisation to new investment niches. Strategist Digest: senior execs unpick their strategies in a monthly newsletter mailed right to your inbox. Strategist Digest : chaque mois, les dirigeants décryptent leurs stratégies dans votre boîte mail. Strategist utilisera les informations fournies sur ce formulaire pour vous contacter et vous transmettre sa newsletter à des fins de communication. Vous pouvez changer d'avis à tout moment en cliquant sur le lien "Se désinscrire" situé le pied de page de tout e-mail que vous recevez de notre part, ou en nous contactant à contact@strategist.global. Nous traiterons vos informations avec respect. Pour plus d'informations sur nos pratiques de confidentialité, veuillez consulter nos informations légales. En cliquant ci-dessous, vous acceptez que nous puissions traiter vos informations conformément à ces termes. Strategist will use the information you provide on this form only on the purpose to send you its newsletter. You can change your mind at any time by clicking the unsubscribe link in the footer of any email you receive from us, or by contacting us at contact@strategist.global. We will treat your information with respect. By clicking below, you agree that we may process your information in accordance with these terms.